One of my rare wildlife photos. Actually this one wasn’t very wild. 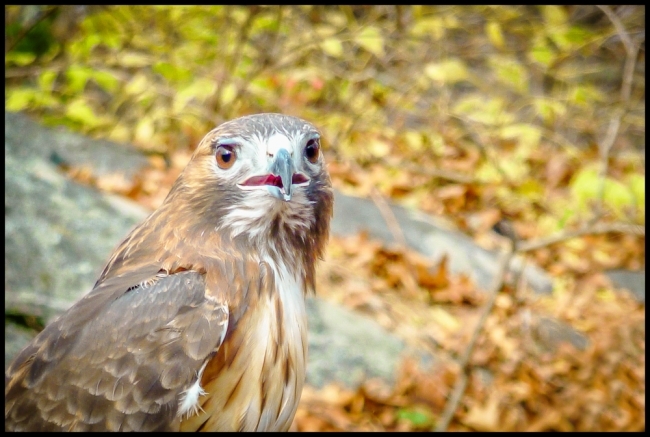 The picture was taken at Teatown Lake Reservation and the bird was perched on his/her handler’s arm. Teatown has a number of injured animals. Some they keep until they recover from their injuries and some are kept forever because their injuries are too severe. I don’t recall what kind of bird of prey this was. They probably told us at the time (November 2010) but I’ve since forgotten. Taken with a Panasonic Lumix ZS-3.